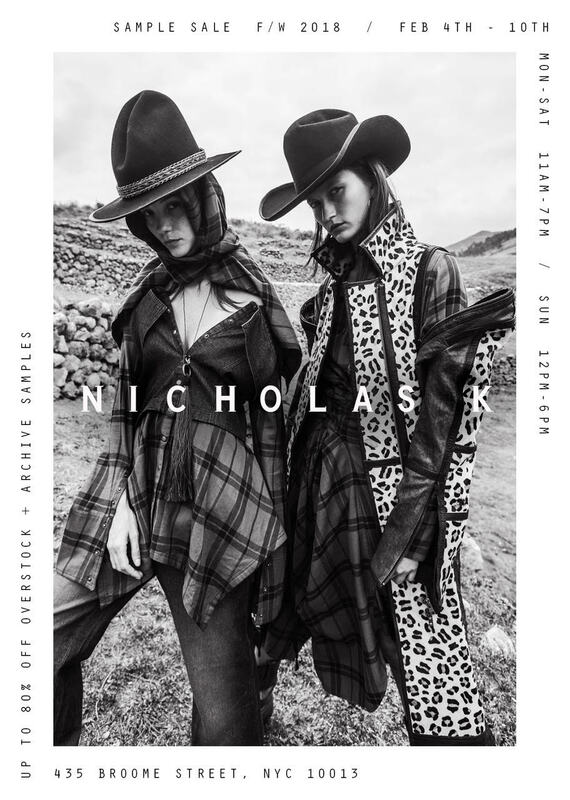 Fly Fashion: Nicholas K Sample Sale - Happening Now! If I wasn’t just in Paris running around the city, I would have posted this sale earlier. I need the hat on the left because it’s clearly fashion goals. Take up to 80% off apparel for the modern nomad at this sample sale from Nicholas K in NYC - happening now! Find them on Broome Street near Broadway. Cash and cards accepted. All sales final.